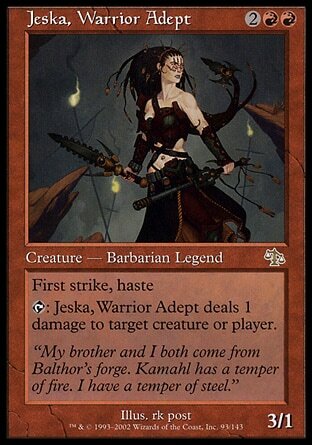 Last time we saw Jeska, she just challenged Radha to a duel. She lost when she placed herself on an even footing with the Keldon elf, however, she's a planeswalker, and planeswalkers get what they want. Now it's time to get back and see what's going on with them. Leshrac has kept himself hidden from Jeska's senses and followed her and the captive Radha to land of Zhalfir. The place is completely devoid of life, the perfect place for Jeska to collect her thoughts and think things through. Something Leshrac doesn't want to happen, so he decides it's time he pop back in and regain some control. He tries to talk to her of gifts and once more offering his aid, but she only wants one answer. Shew wants to know what he did to her. When Jeska knocked the elf unconscious, it wasn't just through physically beating her into the ground. There was a strange wave of black mana that was sent through her. There's a touch of that corruption that now still infects her and Jeska lays the blame at his feet. The last thing she did before the duel was have the talk with him. Lesrhac thinks to himself that he can't believe his plan is working so quickly. All Jeska needed was a reminder of what she once was. To Jeska, he tells her honestly that the black mana was her own, not his. She's transforming back into the force of death and corruption that she once was. Phage . He tells her he has the perfect solution, and presents to her Night's mask. It stores black mana within it and can keep it from her, from affecting her. She asks what's in it for him, and he gives her multiple reasons. 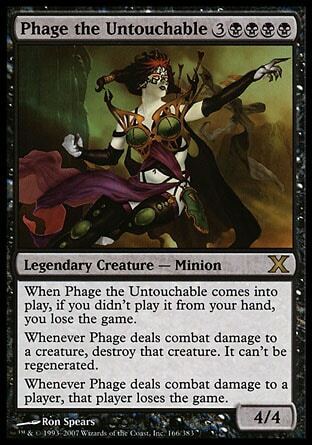 There's hardly enough black mana for him in this plane, if she transforms into Phage she'll be using resources meant for him. 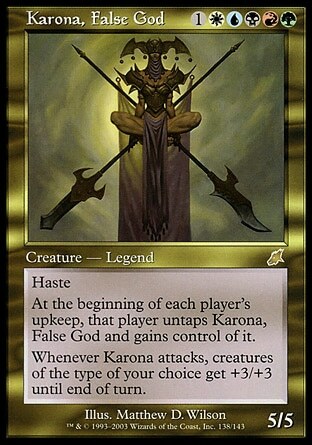 And if she fully converts back into Phage, that's just one step closer to her returning to the embodiment of magic, Karona , and that will be even worse. Lastly, since she doesn't want the black mana touching her, once the mask is fully charged, she's to give the mask back to him and he'll gladly put that mana to use. Jeska is not convinced that Leshrac had no part in what happened, and not convinced his goals are what he claims. It's all too convenient, and she rejects his plan. He agrees to leave once more before she declares him an enemy. But rather than actually leave, he just masks himself from her senses once more and continues to observe. Radha dreams of fighting the warlord Greht once more, but instead of the giant Keldon it's a red-haired woman in his place. She dreams of becoming one with the mountain and becoming a warlord herself, as well as the responsibilities that come along with that. She needs to return to her warhost. The Keldon elf wakes to find herself bound hand and foot with shackles made from the very stone of Keld. Rahda laughs and calls Jeska a fool once more. 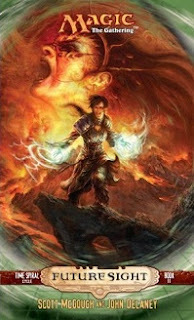 She taps into the mana with the rock and breaks free of her bindings. Radha feels her arms and legs forced to her sides by an unseen power. 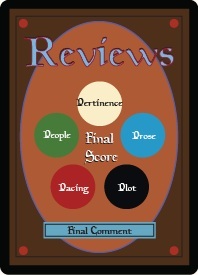 The planeswalker then lifts her up into the sky and simply ignores every word that comes from hermouth. Instead she studies her and tells her she's just about touching the Zhalfir rift. 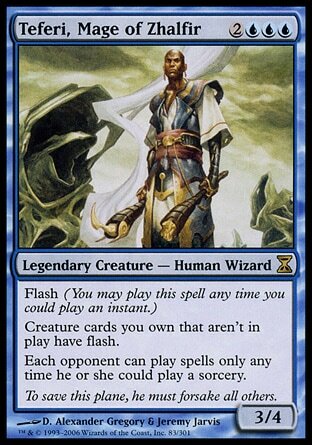 The weakest one according to Teferi . Rahda wonders what any of that has to do with herself. The planeswalker talks about how she and Venser have the same potential, but while his was activated, her potential was discarded and hidden away. Jeska tells her that it's being wasted, that she doesn't need it. Jeska reaches into her with an invisible hand, and Radha feels the planeswalker grabbing hold of something in the very center of her being. 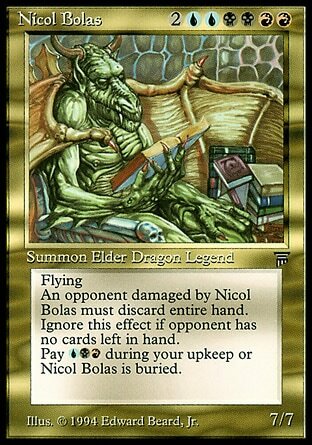 She feels as if she's being stretched and torn apart, worse than with Nicol Bolas took hold of both her and Venser when he used them as some kind of portal to return to Dominaria. "Leshrac was right," Jeska said. "I... we can do this." "But I won't," Radha said. 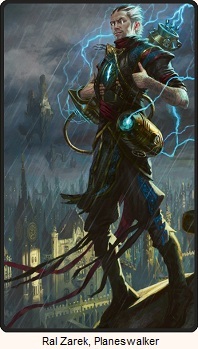 "Kill me or turn me loose, Planeswalker. I will not be your toy." Jeska frowned, and Radha's jaws froze once more. "You are an arrogant, childish beast, Radha of Keld, but you can yet do the world a great service. Gather your strength. Prepare yourself." That's a good justification Jeska has come to, to get herself to use Radha as a means to seal the rifts. 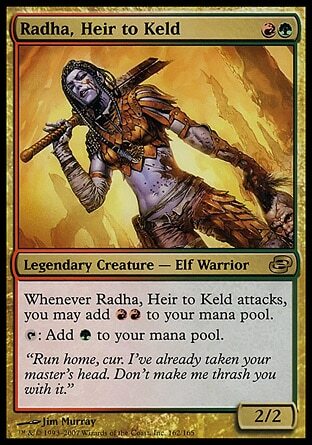 Radha doesn't even need her potential as a planeswalker. She's chosen to give it up by tying herself to Keld instead. Not to mention she's not that likeable in the first place, especially considering that Jeska feels a bit insulted that her own people would be called barbarians when they're nothing like the Keldons. The true barbarians.